Yesterday, The Sun wrote of a report on when the England might go ‘smokefree’ according to tobacco control criteria. This was a bad week for vape bans, as New Jersey adopted the Tobacco 21 scheme and an English health trust outlawed e-cigarettes from all its premises. An Australian state is also pushing for a wide-ranging ban on public vaping. Meanwhile, Imperial Tobacco has purchased a specialist nicotine and e-liquid vendor, apparently in a bid to kick-start its innovation of new products, while two vape shop owners in New York are squaring up for a legal battle over what one says is a campaign of harassment aimed at his business. It took a few months but it is now time to deliver on that promise. You all remember the “hidden formaldehyde” research letter, which included a statement that e-cigarettes are 5 to 15 times more carcinogenic than smoking. The letter was accompanied by impressive media coverage through a press statement and a later award for the research group of $3.5 million for further research on this issue. Two previous laboratory studies (Jensen 2015; Sleiman 2016) had tested vaping devices and found extremely high levels of aldehydes (formaldehyde, acetaldehyde and acrolein). Aldehydes are known to cause cancer and have other toxic effects. This led to sensational headlines claiming that vaping had a higher cancer risk than smoking. Taiwan is strengthening its ban on e-cigarettes, and lawmakers claim the ban will protect teenagers from smoking. The logic may be faulty, but the political leaders of the former Chinese province (which China still considers part of China) are sticking with it. Officials claim the ban will “lower smoking rates,” according to the Taipei Times. Around 1 in 5 (19 percent) 11-15 year olds surveyed said they had ever smoked, a similar level to survey data from 2014 . Around 3 percent of young people said they were regular smokers, down slightly from 2014. The Government and public health bodies should immediately start a continuous programme to accurately communicate the positive public health message of vaping to smokers. This is the main goal from the UK Parliamentary report on E-cigarettes released today, State of the Vaping Nation. A study from V2 Cigs U.K. released Friday reveals that roughly 5 million smokers tried to quit cigarettes in the past 12 months. While most smokers who gave quitting a try did not make it through a month without picking up a cigarette, many were able to significantly cut back on their daily intake of tobacco. One-third of smokers tracked in the survey were able to reduce their daily cigarette consumption by 75 percent, reports West Sussex County Times. Tobacco controllers are astonishingly unethical. Some of their unethical behavior is obvious to any politically aware vaper. Unfortunately the obvious behavior violates no laws or professional norms. However, their treatment of human research subjects includes blatant violations of ethics rules, and it deserves more attention despite being more subtle. 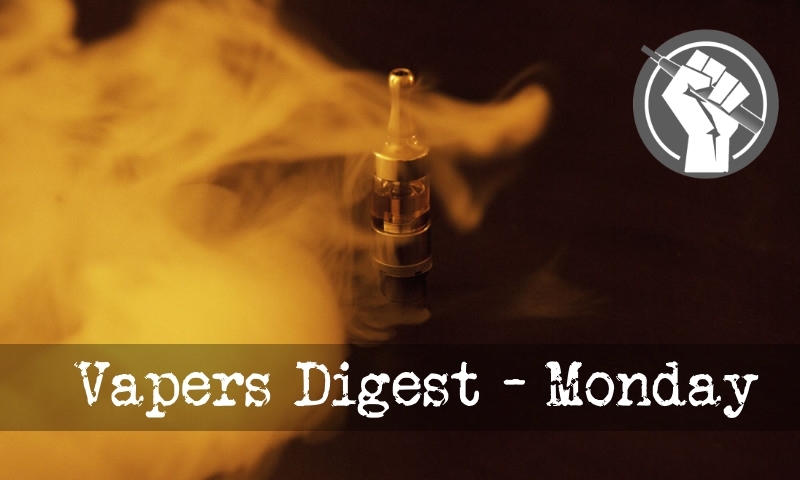 Ever since the introduction of e-cigarettes, vaping usage has exploded around the world. For those who vape, the practice can seem lonely at times. Those who don’t actually know just how many people vape may easily assume that no one shares their passion. For a smoker, socialization is easy – there’s always another smoker around to share a cigarette with. Today’s edition of The Times carries an apology to the scientists and researchers it defamed in a couple of articles last month about the Global Tobacco and Nicotine Forum. This came about after those involved threatened to take legal action. The articles concerned have now been pulled and the original URLstake you to the apology instead, but you can read some of what was said in screen grabs that I published here. Glantz may be keeping a low profile in the coverage of his latest study but its findings won’t find much disagreement from the vaping community. Cancer Research also sets its sights on Big Tobacco and cautions against claims made as a result of its fag-funded research. But is it fair to discount their input?